EIFL wishes you all the best for the holiday season and for the New Year. 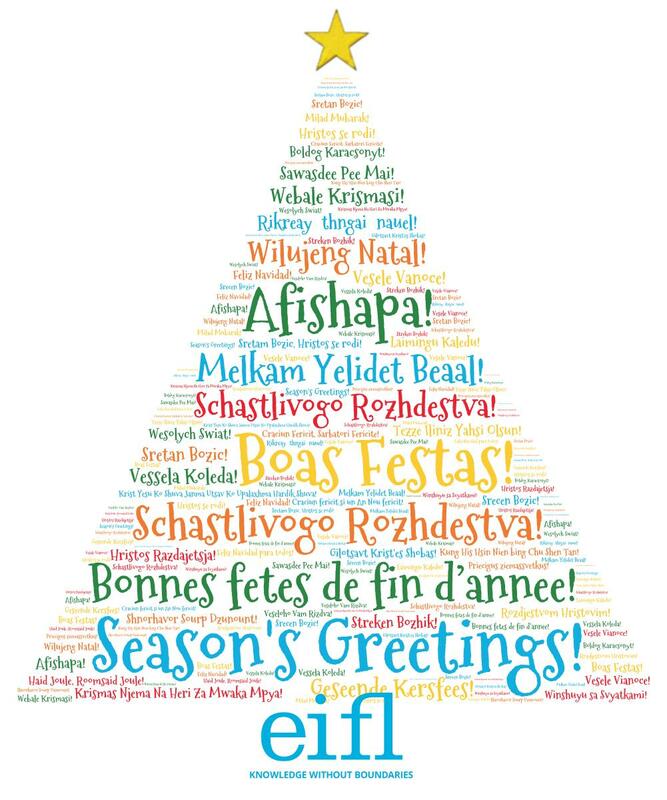 The EIFL office will be closed from December 24th 2015 to January 3rd 2016. We look forward to reconnecting and to working with you again in 2016.